The crew accomodation onboard the Ross Revenge during the fishing era was spread over all three deck levels, Lower - Main and Upper Deck. We dont know to what extent 'top and tailing' went on ... and to be honest we are probably better off not knowing ... but according to the orginal Freyr construction layouts what we do know is that a total of 46 bed heads were provided for the crew. 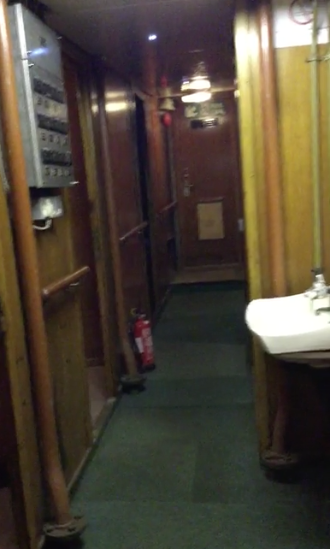 In this section we look at both the past and present usage of the crew accomodation.